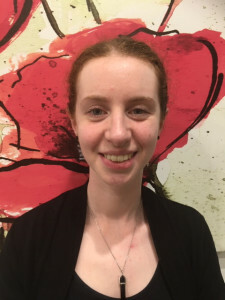 Emmalee is a Registered Psychologist and brings to DS Psychology Group specific skills and expertise in testing and assessment across all age groups and has specific qualifications in Educational and Developmental Psychology. Emmalee is passionate about empowering individuals to reach their full potential through precise and comprehensive testing, highlighting their strengths and finding strategies and resources to assist with difficulties. She has experience in a broad range of areas including cognitive assessments, Autism Spectrum Disorder / Asperger’s Syndrome in both children and adults, learning difficulties such as dyslexia, and conducting careers assessment. She also has experience conducting assessments to support applications for the Department of Education’s Program for Students with Disabilities and VCE Special Provision. Of particular interest to Emmalee is adult assessment for conditions such as Autism Spectrum Disorder / Asperger’s Syndrome, and helping the client to understand how this condition can impact their everyday life. Some individuals may not have found an explanation for their difficulties earlier in life and are seeking an assessment for self-understanding. Emmalee is committed to working with individuals across the lifespan to assist them in this journey. Emmalee is approachable and empathetic and helps clients to feel supported throughout the assessment process. She provides each client with the opportunity to discuss their goals and needs, offering a comprehensive service with relevant recommendations, which answers any questions that may arise. Emmalee can provide assessments for children, adolescents, and adults. Emmalee is available for assessments on Fridays. Are your already a client?